Think that call to Crime Stoppers may not do anything? Here is a great example of how a citizen helped begin an investigation into a crime ring that led to the arrest of multiple individuals for crimes including bank robbery and jugging. All it takes is one piece of information for investigators to act on to start an investigation. That information can come from you. Remember, if you see something, say something. We will always need the public's help. To see the full news release about this case, go to THIS LINK. 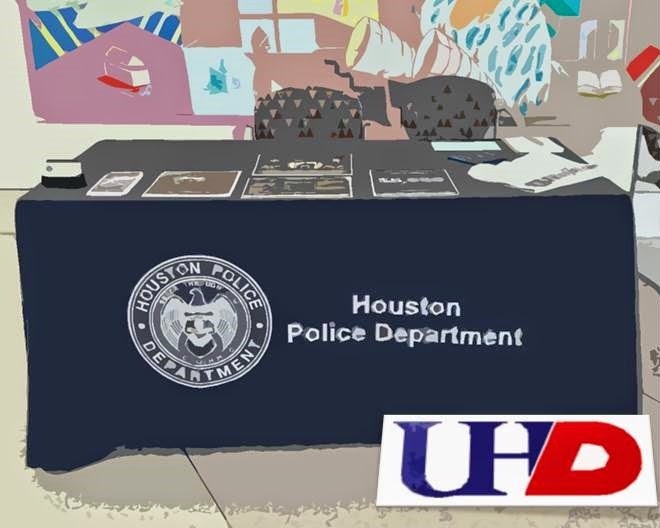 Recruiters at University of Houston - Downtown NOW! Come by! 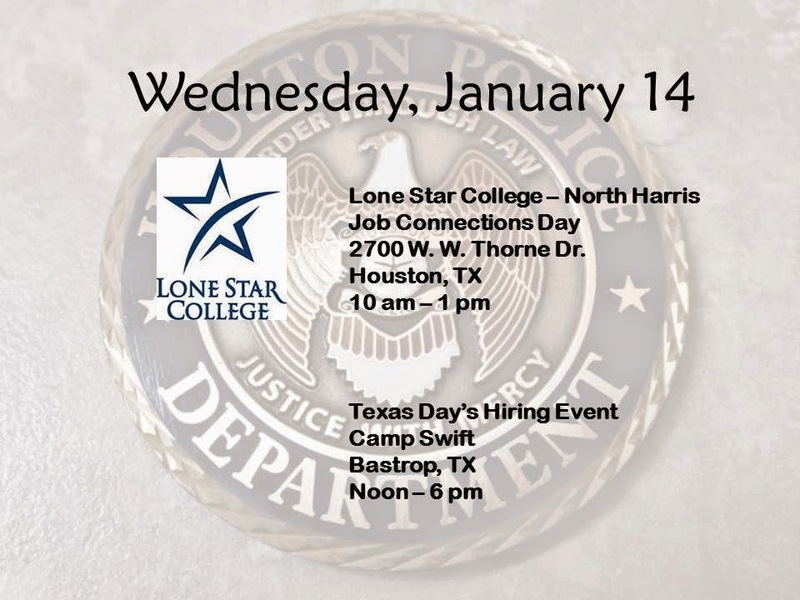 We are here until 1 pm at the Commerce Building, 1 Main St. Find out how you can start your career with HPD. You can also call the Recruiting Division at 713-308-1300 or (800) 252-0473. Or go to www.hpdcareer.com. 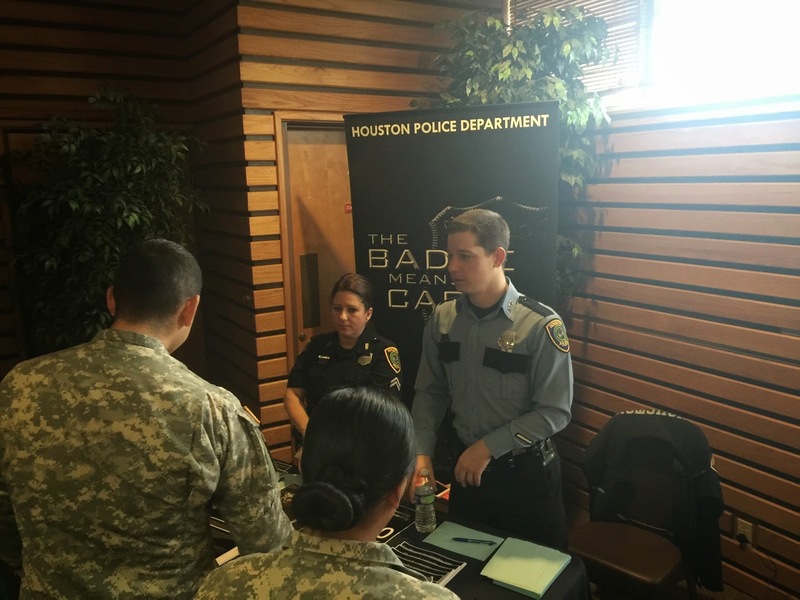 Last week, Officers Reese and McDonald of the HPD Recruiting Division were in Ft. Hood talking to potential HPD cadets. 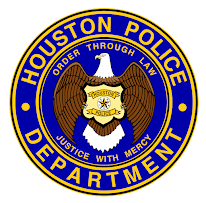 If you want to know more about joining HPD, call the Recruiting Division at 713-308-1300 or (800) 252-0473. 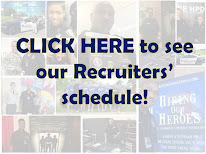 You can also go to www.hpdcareer.com for more information. “He finally asked me if he could go say "hi" to them and so I walked him over there and he shook every hand - very grown up- and made sure to say "nice to meet you". One of the officers gave him a sticker of a badge and he immediately put it on (and continued to want to wear it days after until it no longer stuck to his clothes) we walked away and he asked me to take a picture of him. 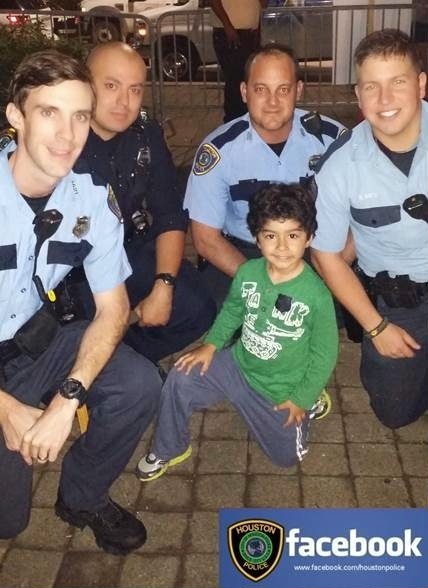 The officers must have seen us as they quickly approached him and asked him if he wanted a picture with them. He was in heaven!!! Like I mentioned before, you would have thought he was meeting famous movie stars. He was very excited and talked about it for days. He still says "I can't believe they took a picture with me". This is the same 4 year old that says he will be a Marine when he grows up. The officers pictured work in the HPD Special Operations Division. 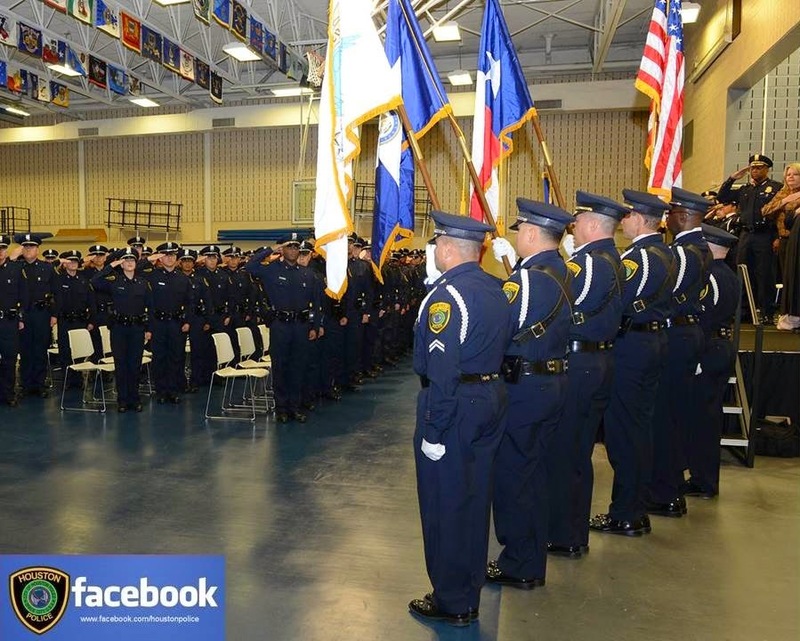 One month from today HPD will host a town hall meeting with Chief Charles A. McClelland, Jr. and HPD’s Command Staff. 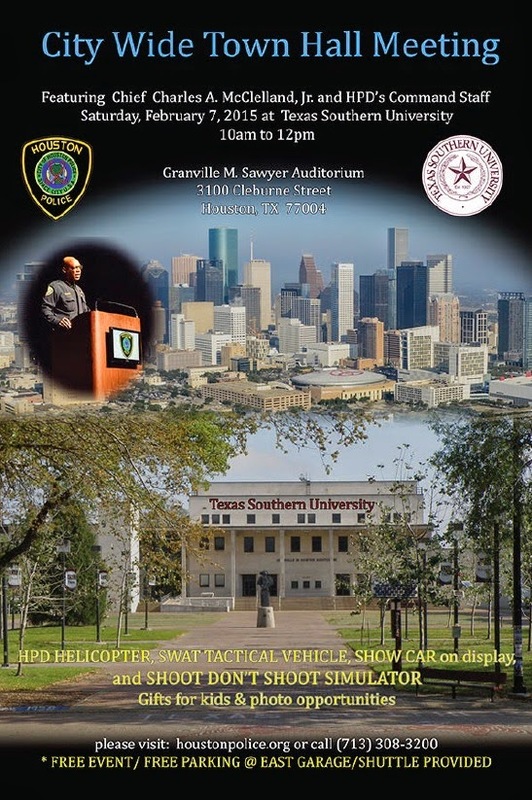 It will be held on Saturday, February 7, 2015 at Texas Southern University, Granville M. Sawyer Auditorium, 3100 Cleburne Street, from 10 am until noon. This is a free event that will include the HPD helicopter, SWAT vehicle and HPD show car on display. There will also be the opportunity to use the “Shoot, Don’t Shoot” simulator. For more information, please call Public Affairs at 713-308-3200. You can also read last year’s live blog there. 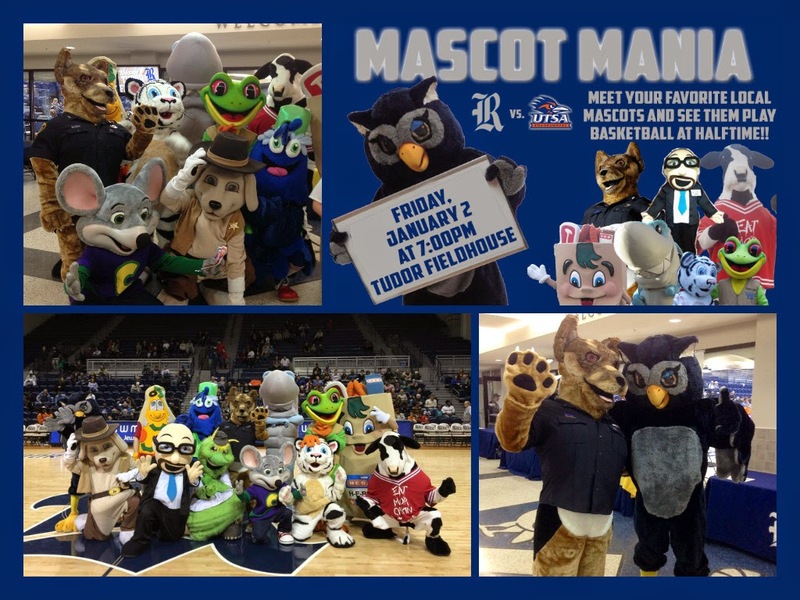 HPD's Officer K-9 took part in Mascot Mania this weekend during halftime of the Rice v. UTSA basketball game.